So, my dad decided to officially retire. And I decided to build him a motorbike as a retirement gift. 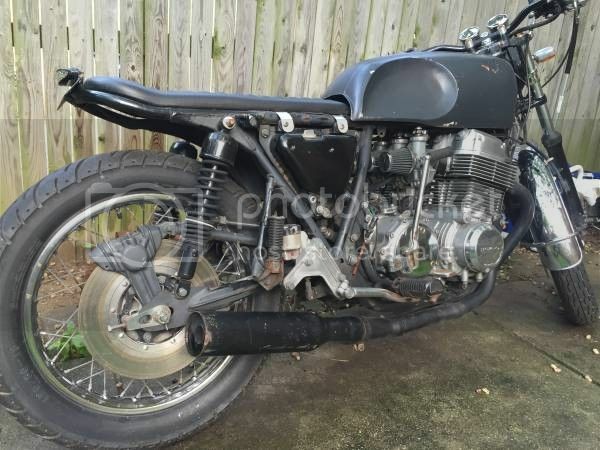 Enter this titled, running CB750. 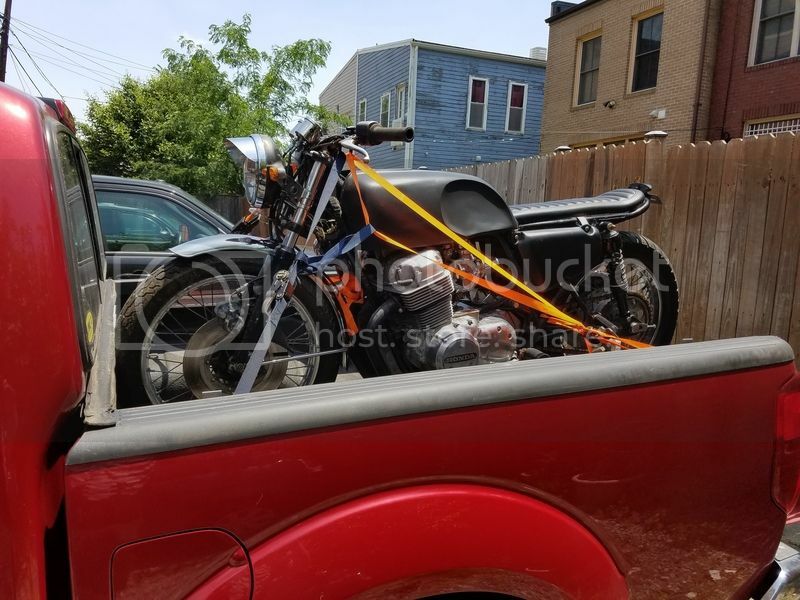 Hope to have the bike completed within a month or two. Plans are to give it a basic tune-up, clean and paint, etc. I am still debating on whether or not I want to swap out the tank/seat. That particular tank has about 10 pounds of bondo, I reckon. Radness. As always, if my piles of junk hold anything useful just shout. Sweet gift...will be watching the progress. Is this what the 500t tank being mailed your way is for? As always, if my piles of junk hold anything useful just shout. Rad. Already set up for it. The petcock is tricky, but doable. Ah, upgrade from 550 to 750 for dad, I dig it. That will stay with me, and hopefully (eventually) be hardtailed.